The markets run on the first Saturday of every month and have done for nearly 20 years. Created by the Rotary Club of Kalamunda to raise much-needed funds for local and international charitable projects, the markets have grown into one of Perth’s top tourism destinations. Originally called the ‘Kalamunda Village Markets’ the recent name change to ‘Kalamunda Artisan Markets’ is in recognition of the many artisans who display their work every month and make visiting the market such a unique and rewarding experience. The market is managed and staffed by volunteers from Rotary whose dedicated time over the years has raised hundreds of thousands of dollars for charitable projects worldwide. Locally projects include the recent Lesmurdie Falls upgrade, disability schemes and regular youth and community events. International projects include providing education and sanitation in Timor, Indonesia, Kenya, Laos and many more. 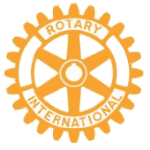 For more details of funded projects and the Rotary Club of Kalamunda, click here . For information on planning your visit to the market, the other attractions in the Perth Hills and to get to know our stallholders click here .